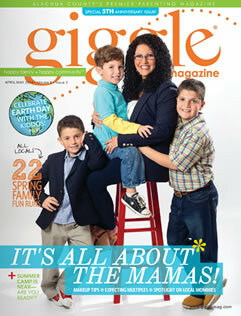 Gainesville Cohousing, and its family-friendly approach to living, has been featured in the April/May issue of Giggle Magazine. The article is followed by a full-page advertisement for Gainesville Cohousing and on the opposite page from that, there is a full page feature about Earth Day. In the article, our very own Burt Kempner explains what cohousing is and why it has become a national movement. The article, entitled Cohousing: A Family-Friendly Approach to Living, focuses on why cohousing is so important to its members, and what Gainesville Cohousing’s recently acquired 4.75-acre lot has to offer. The Gainesville Cohousing community is designed in an eco-friendly fashion, featuring individual homes as well as common facilities for the entire community to enjoy.